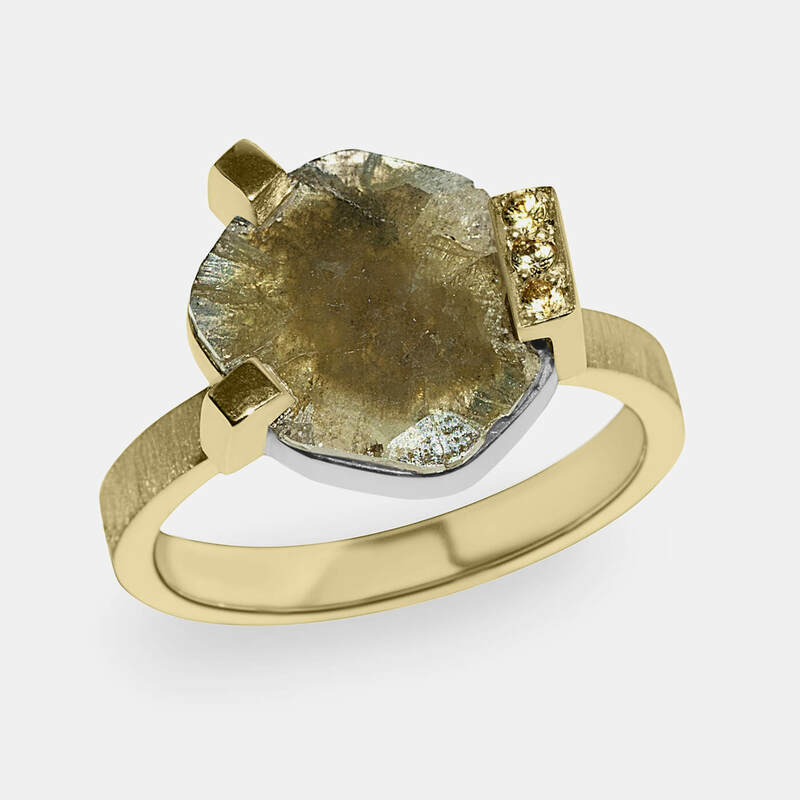 9ct white gold, 18ct yellow gold and rough diamond ring. These cubed diamond gems are found naturally in this state and make a great alternative to a faceted diamond. Especially for those looking for something different as an engagement or special occasion ring. 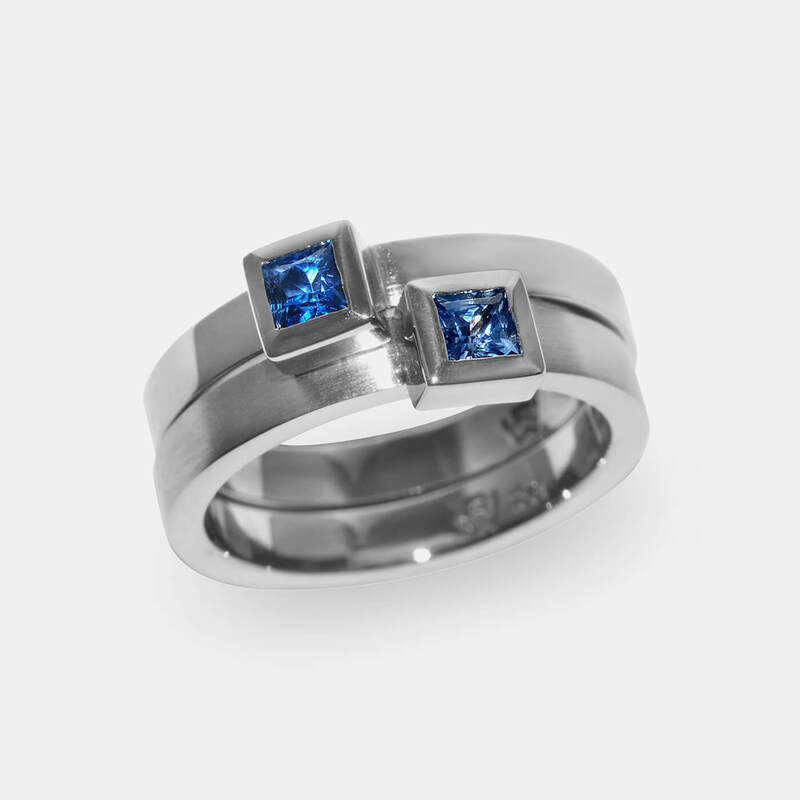 9ct white gold and blue topaz. This beautiful engagement ring is set with a vintage rose cut topaz. 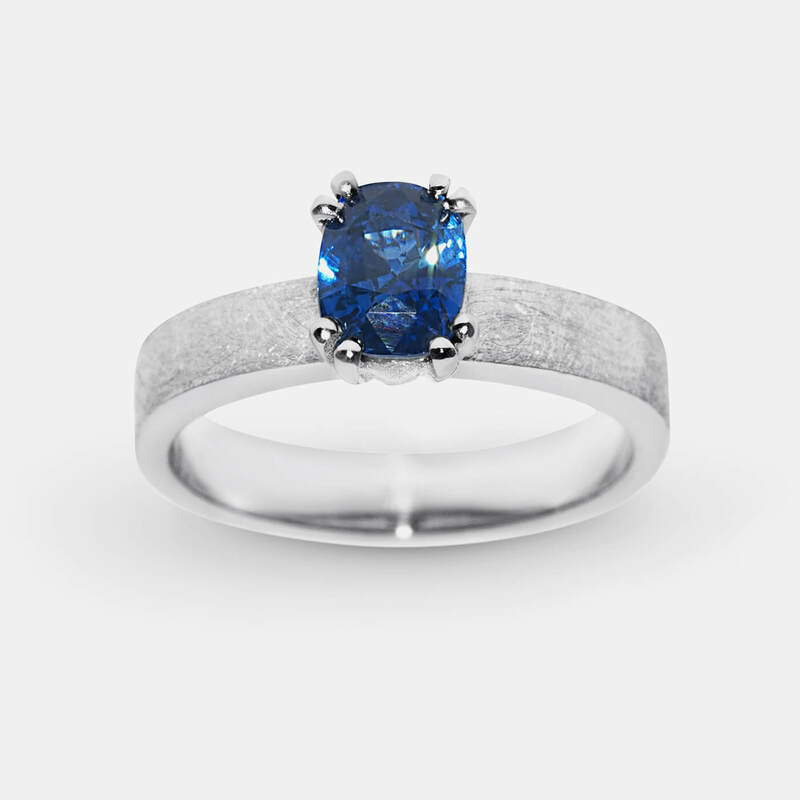 9ct white gold and sapphire ring. Inspired by looking up. Straight lines with a hint of colour. 18ct yellow gold, diamond slab and yellow sapphires ring. Diamonds sparkle even when they aren’t faceted. 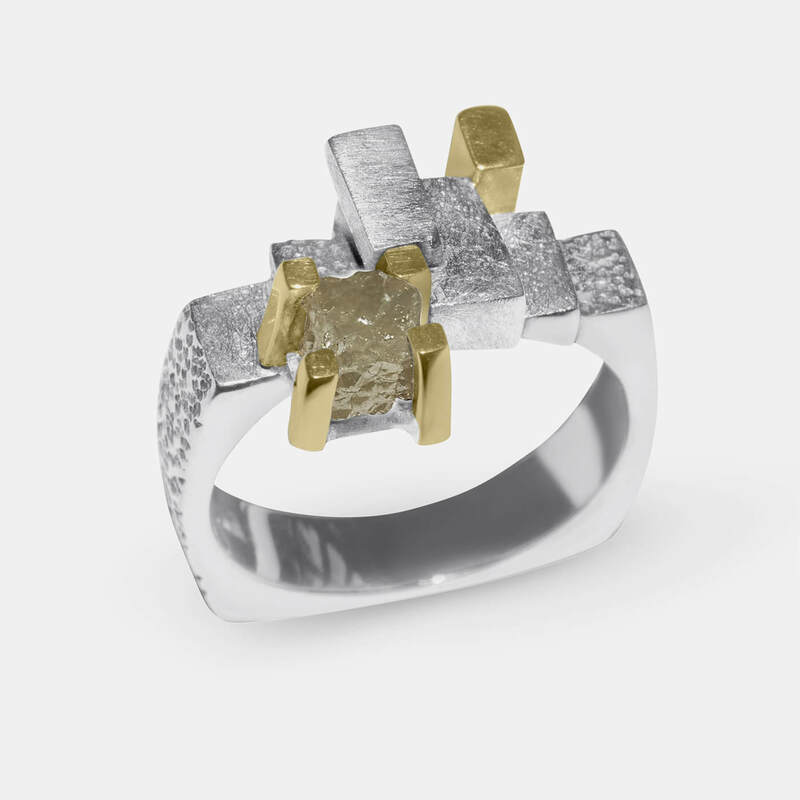 An alternate take on the traditional engagement ring. 18ct white gold and diamond engagement ring. 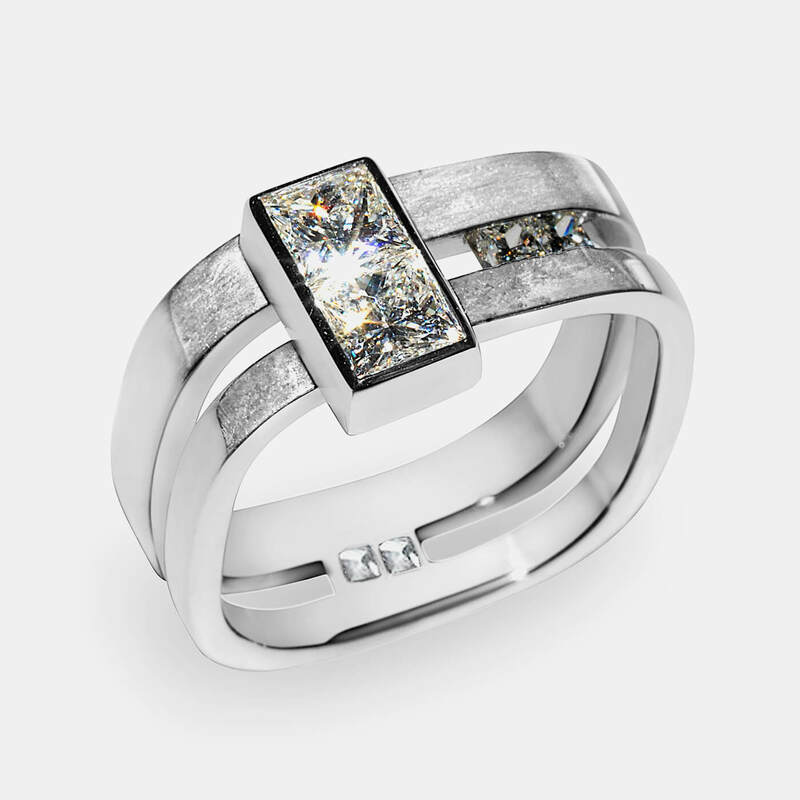 A contemporary take on the traditional engagement ring. Set with big sparkly princess cut diamonds. 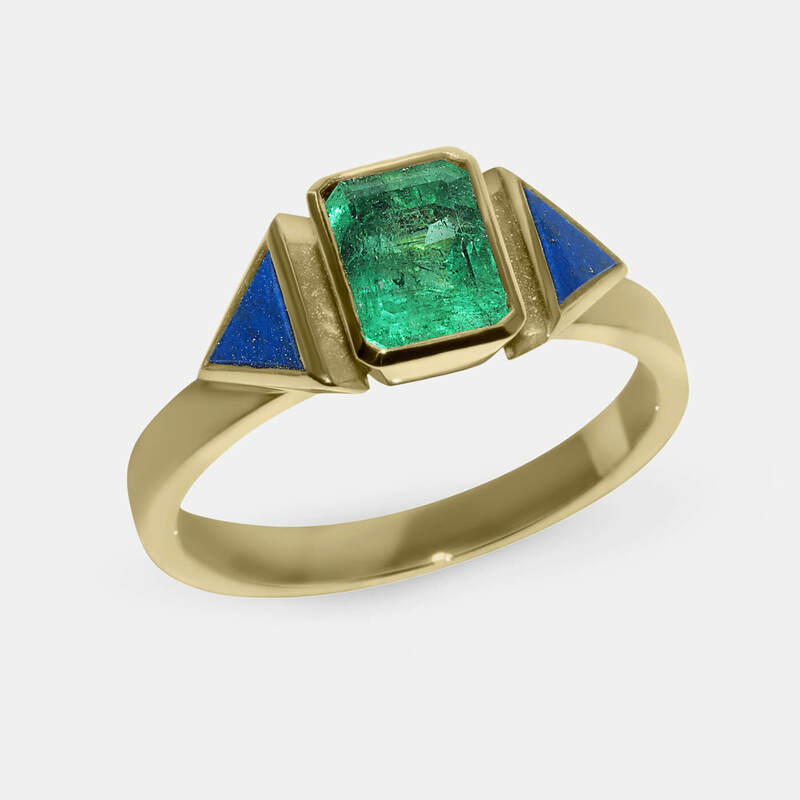 18ct yellow gold, emerald and lapis lazuli ring. With a colour combination to die for and my personal favorite. The noble Lapis Lazuli and King of the beryl family, emerald. Complimented by the richness of 18ct yellow gold. 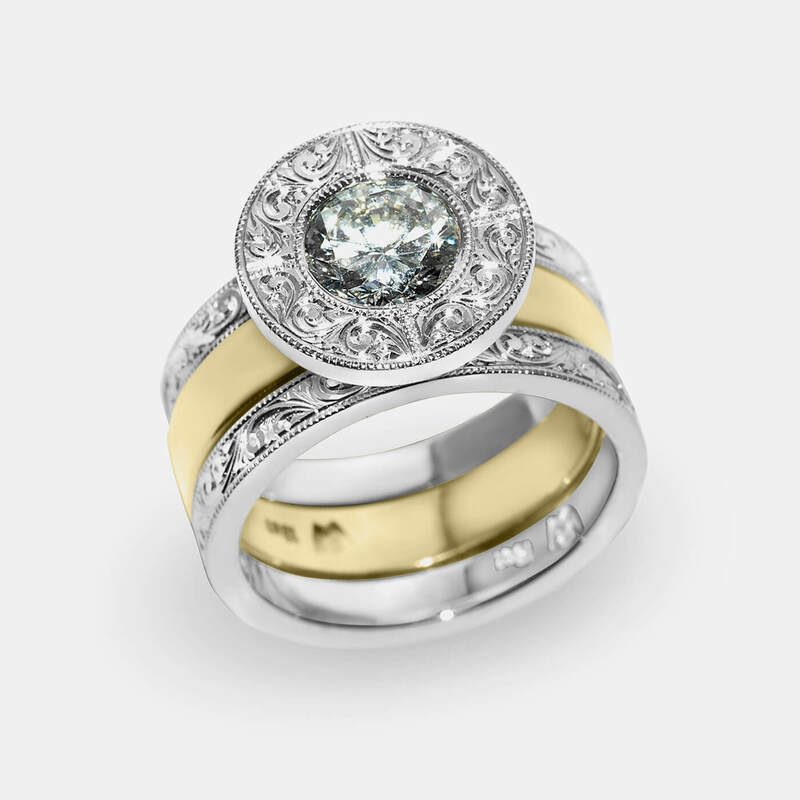 18ct white and yellow gold and diamond hand engraved ring. This beautiful engagement ring commission is off set with double hand engraved wedding bands. Not to mention the one-carat diamond sparkler as the crowning center piece. 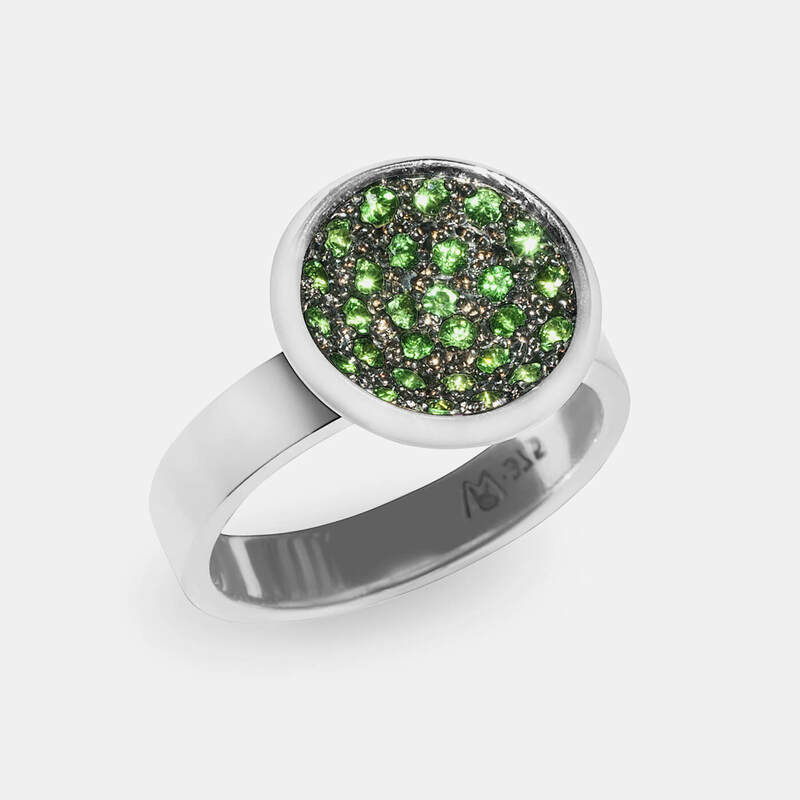 9ct white gold and green grossular garnet ring. This sparkling dish is available in other colours too. Contact us for more information. 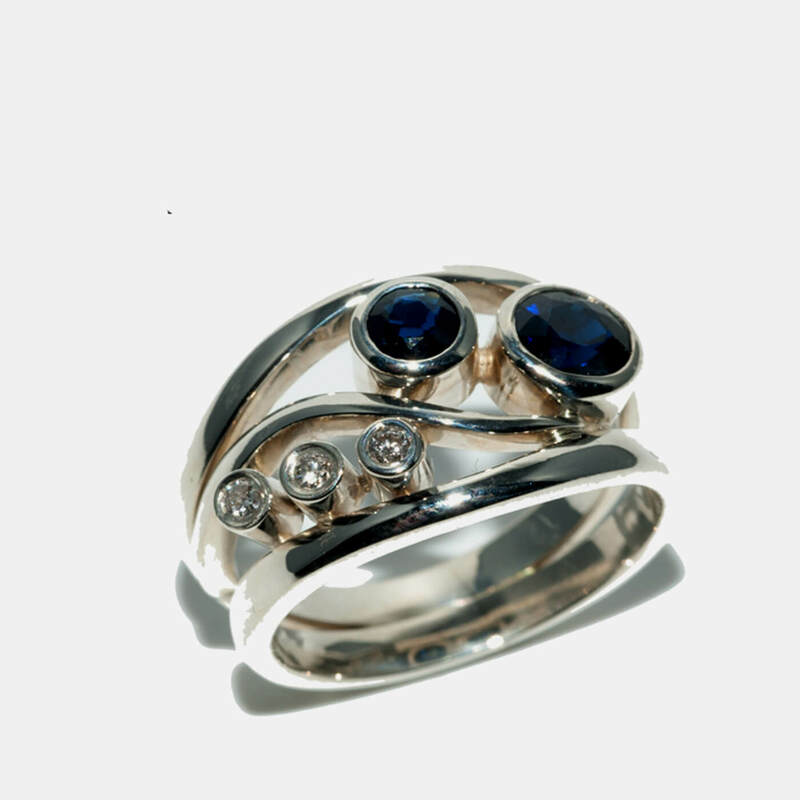 18ct white gold and Ceylon sapphire ring. Why have one when you can stack two. This elegant combination was commissioned for a ten-year anniversary. 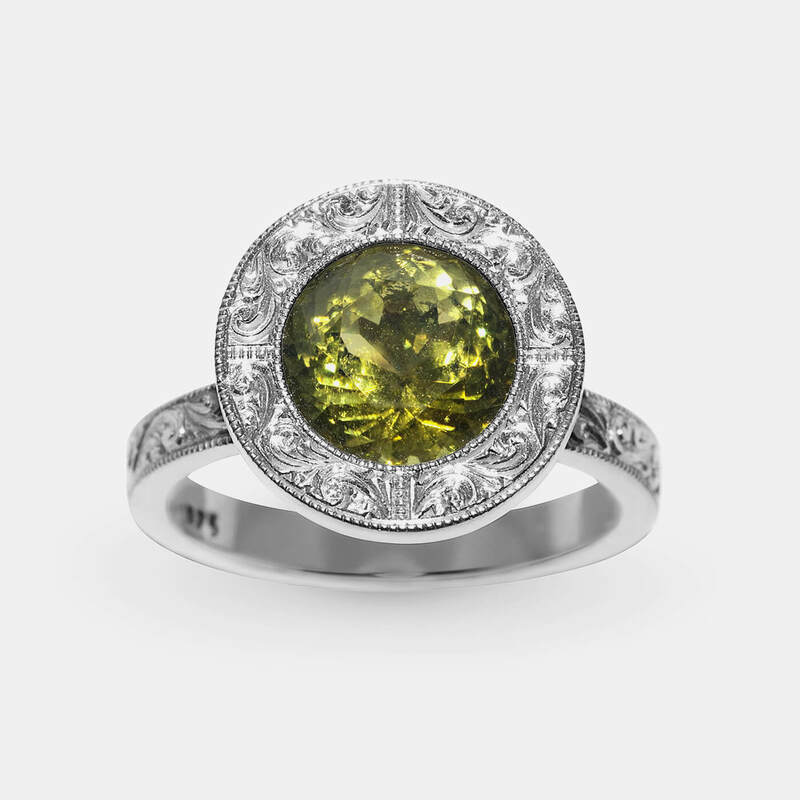 18ct yellow gold, parti sapphire and yellow sapphire ring. 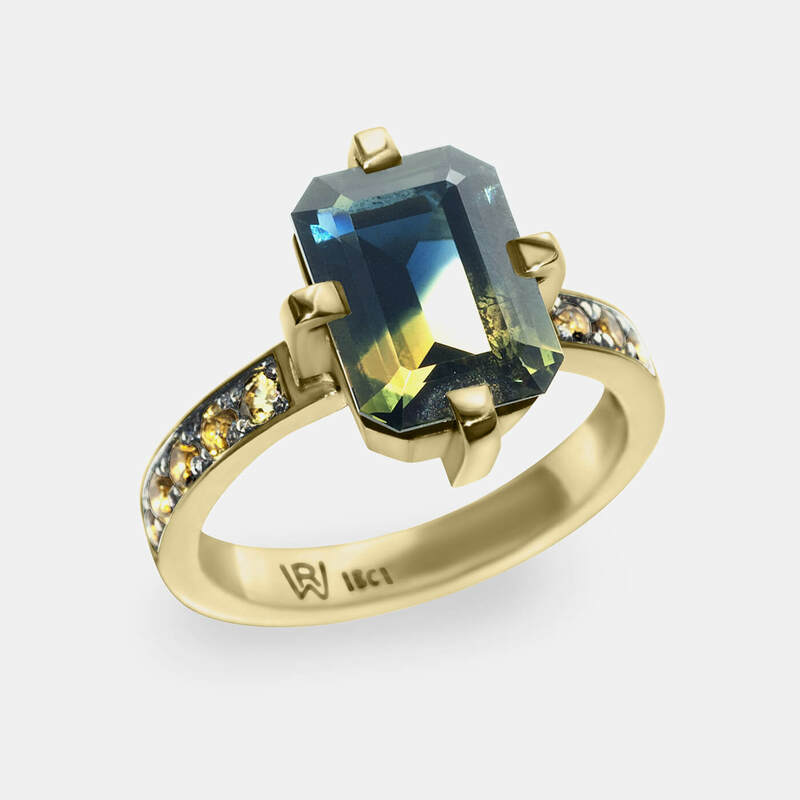 Everyone loves a party and this sapphire engagement ring parties between yellow and deep blue. 9ct white gold, tourmaline with hand engraving. This beautiful tourmaline is off set with its exquisite hand engraving. The ultimate cocktail or engagement ring. 18ct yellow and white gold wedding ring. 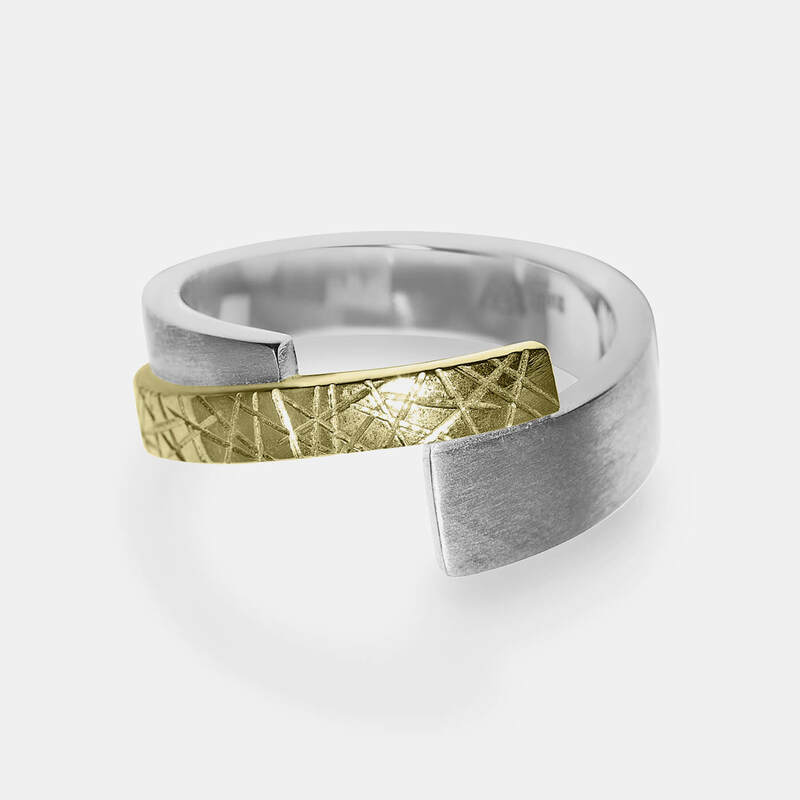 Wedding band with subtle texture and lines. 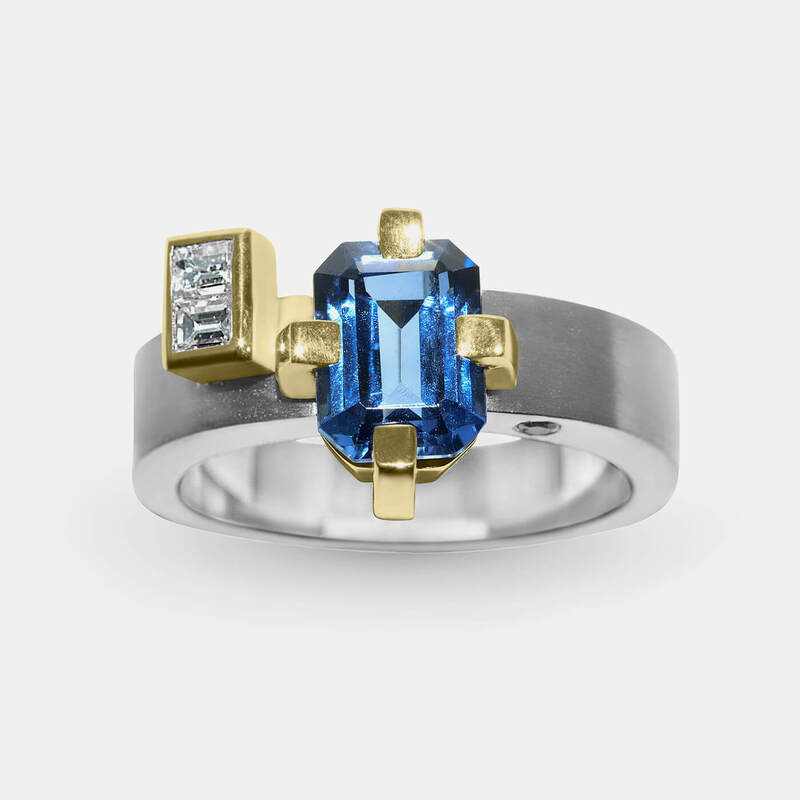 18ct white and yellow gold, sapphire and diamond ring. 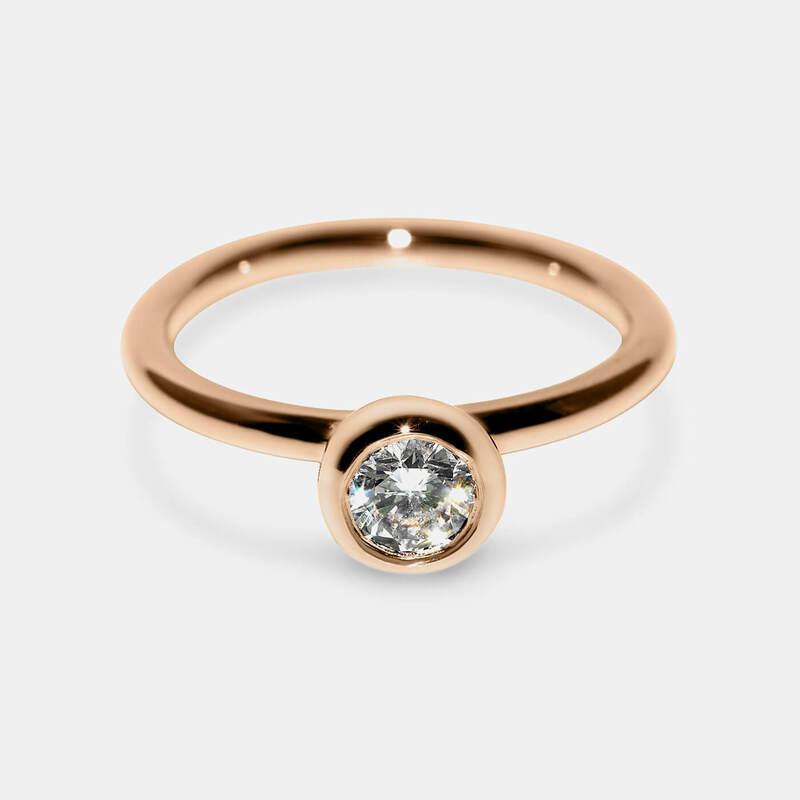 18ct rose gold and diamond ring. Keeping it elegant and simple. 18ct yellow and white gold and sapphire ring. 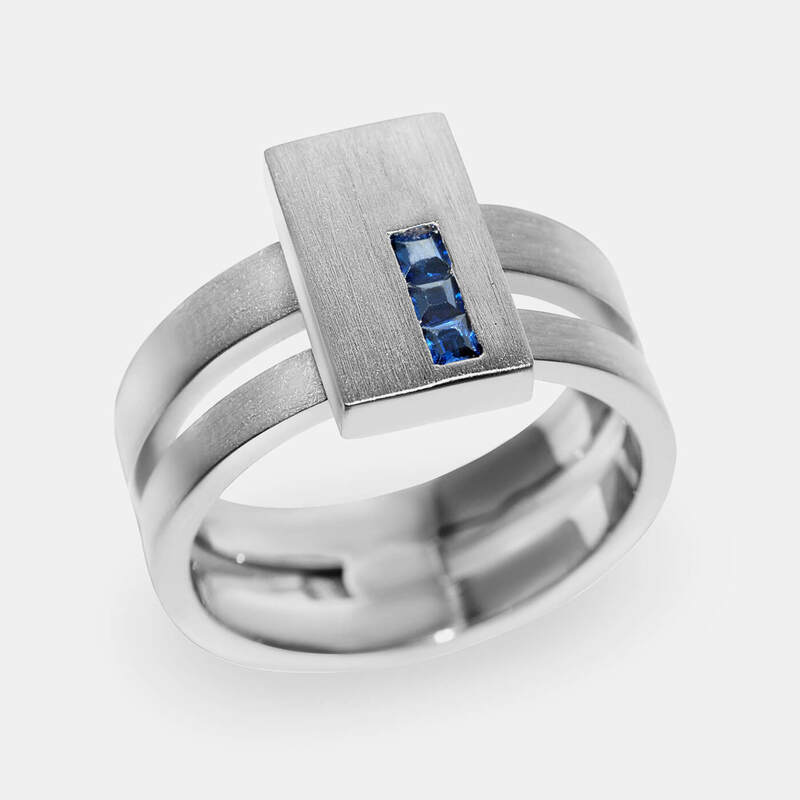 The simple lines are what appeals in this special occasion ring. 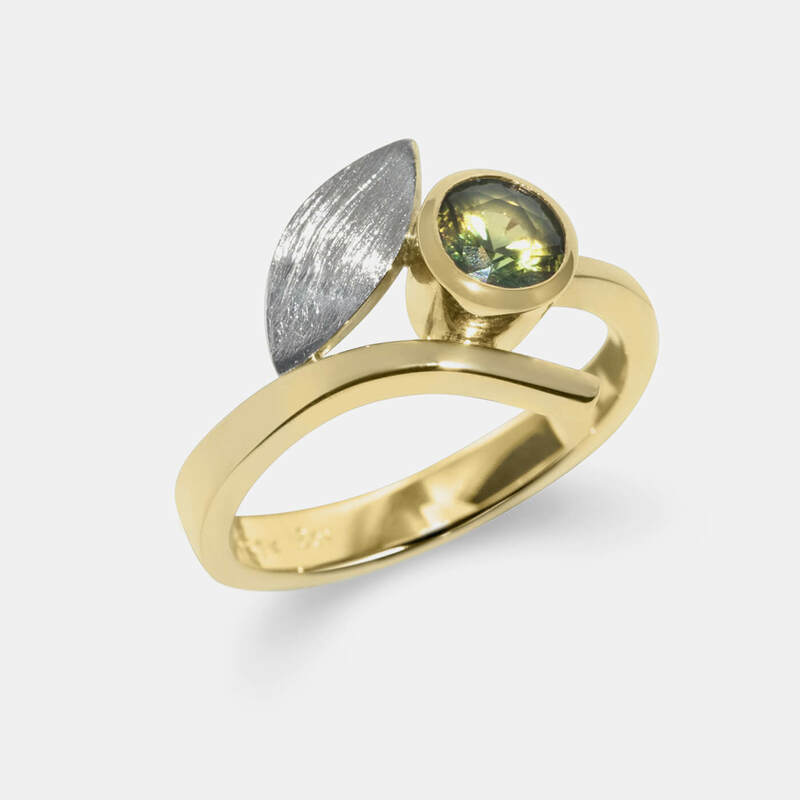 Contrasting grey and yellow gold with an Australian parti sapphire. Beauty in simplicity, this elegant solitaire engagement ring stands alone. 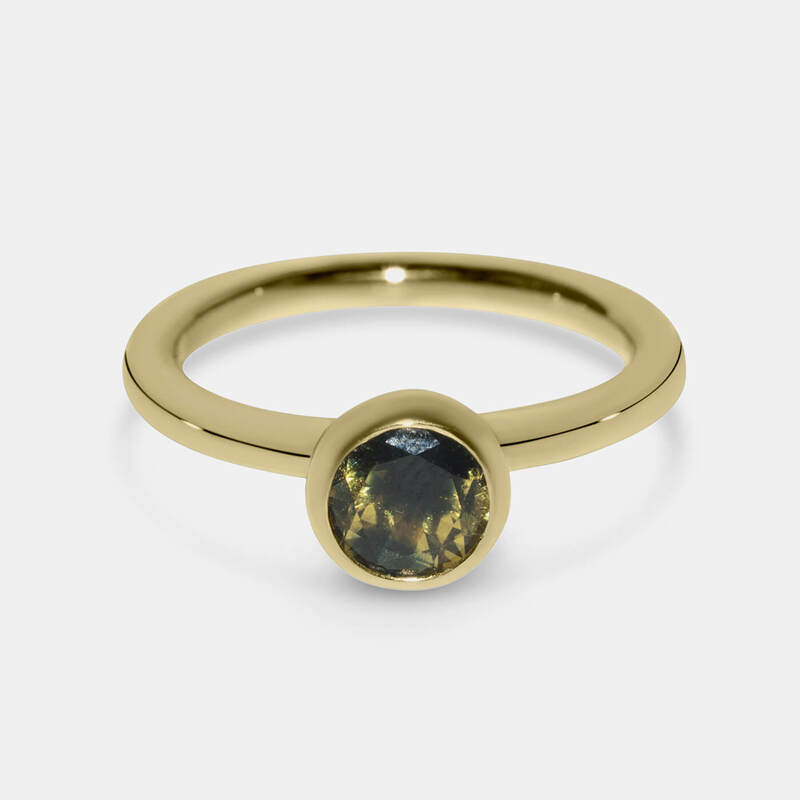 18ct yellow gold and parti sapphire ring. 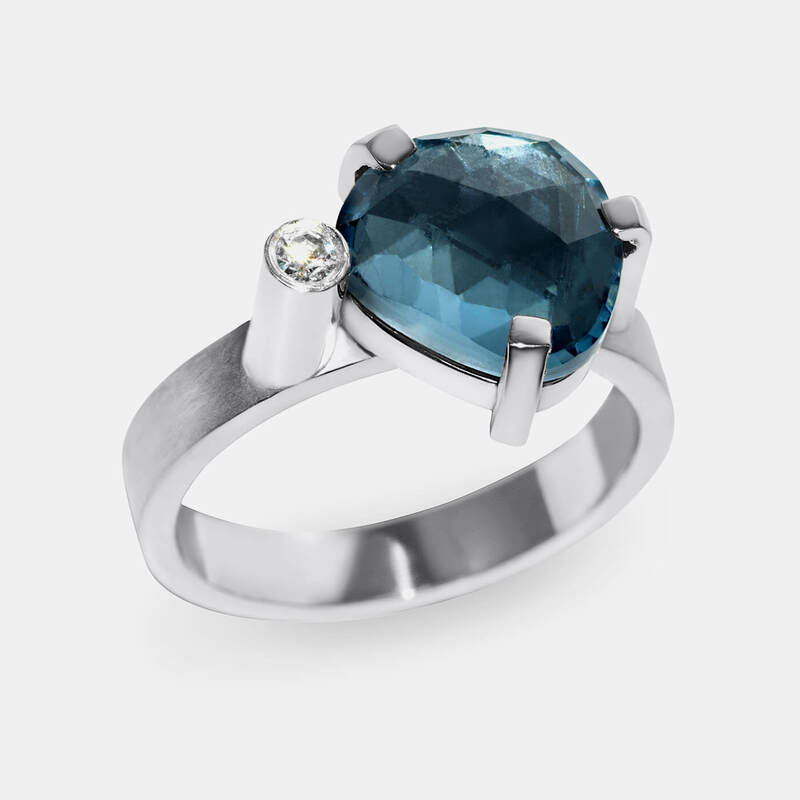 Solitaire engagement ring with parti sapphire. Inky blue to bright yellow palette. Waving curves of gold with flashes of deepest blue and sparkling white.